Sing along with the Christ-centred hymns. Reflect on the humble beginnings of our Saviour. And rejoice that the Son of God is also Emmanuel—the greatest gift we could hope for. We hope you make Fullness of Grace a part of your Christmas holiday tradition. 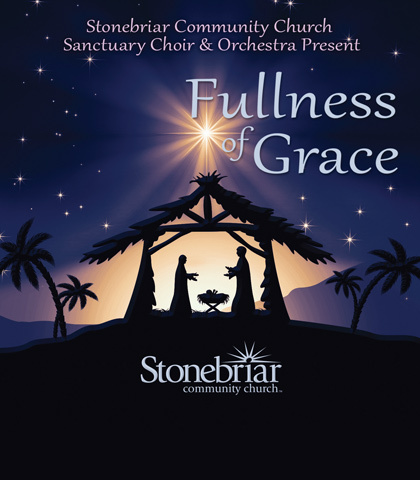 You will be irresistibly moved to worship and wonder as you listen to Fullness of Grace, featuring the incredible choir and orchestra of Stonebriar Community Church with guest soloists and Chuck Swindoll’s message, “It’s Christmas…So?” Sing along with the Christ-centred hymns. Reflect on the humble beginnings of our Saviour. And rejoice that the Son of God is also Immanuel—the greatest gift we could hope for.